Bautista, meet the V4: How will WorldSBK’s new pairing fare in 2019? It was one of the stories of the summer ahead of the 2019 MOTUL FIM Superbike World Championship. The arrival of a rider as strong as Álvaro Bautista to the SBK® paddock would be big news in itself for the production-based series, but surrounding circumstances have increased its impact tenfold. The current MotoGP™ rider will join the official Ducati team next season to debut the new Panigale V4, the first four-cylinder machine from the Bolonia manufacturer to drop into WorldSBK, a bike ready to break Kawasaki’s four-year stranglehold on the World Superbike championship. There are still many question marks hanging over the V4, but there is full trust from the Italian marque in their new project and the input from test rider Michele Pirro has been extremely reassuring, with the Italian claiming that the bike is “very close to the MotoGP™ bike”. With several tests – both private and official – scheduled for the off-season and before 2019 gets underway, we will find out more soon enough about the Borgo Panigale outfit’s new ‘weapon’. On the flip side, we do know a lot about Álvaro Bautista. Turning 34 years of age next November, the Spanish rider has competed for the past 16 years in the MotoGP™ paddock; there Bautista was 125cc World Champion in 2006, 250cc runner-up in 2008, and has competed for Suzuki, Honda, Aprilia and Ducati in MotoGP™, this last manufacturer for the past two years. We also know that Bautista does not lack motivation ahead of his arrival in the WorldSBK paddock. The challenge ahead will be tough, but it also represents a momentous opportunity for the Spaniard: the chance to win again, to chase a world championship. Bautista needs not look further than his own red machine to find an example to follow: Carlos Checa, the first – and last – Spanish rider to win a World Superbike championship. Checa was also the last man to become world champion on a Ducati, winning the title in 2011 in his second campaign for the Althea Ducati team, days before turning 39 and after spending 15 years in the MotoGP™ paddock. Both were hungry for glory when they moved to SBK®, one at the start of 2008, the other at the end of 2018. Checa himself, who has remained linked to the Italian manufacturer after his retirement, praised the arrival of Bautista to the Aruba.it Racing – Ducati team when it was announced last August. Time will tell if Álvaro Bautista can be the man to pick up the baton from Checa and return Ducati to the top; what’s sure for now is that he will be granted the opportunity, and that the Spaniard will give it his all very soon. The 2019 season is approaching fast! 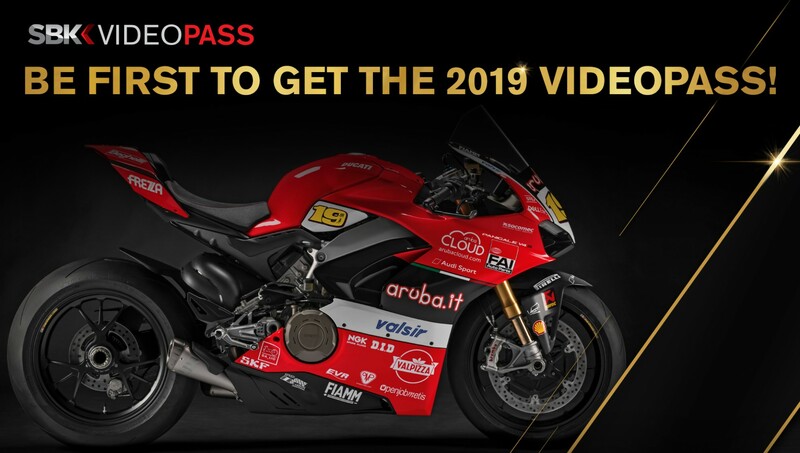 Get ready for the dawn of a new era in World Superbike, which you can already start to enjoy thanks to WorldSBK VideoPass.